Search for ‘Soft Skills’ on Google, you will find 2, 58, 00,000 results. Huge database… Isn’t it? What was recapitulated in these searches was “what do recruiters expect from candidates while hiring?” The recruiter is the facilitator between the candidate and his next career move. Although recruiters play their cards close to the chest, definitely there are ways top talent can stand out and be discovered. Now to stand out among all other, a candidate needs to get in front of the recruiter and show him or her why he is the right one for the job. Apart from degree, credentials and technical knowledge, what will make a candidate stand out is his Soft Skills. Soft skills portray how one acts in his life and work. Studies reveal that 75 percent of success depends on people skills (soft skills) and 25 percent on technical knowledge. That does not mean technical knowledge is not important but soft skills defines who you are and how you act. Ironically, soft skills are the hardest skills to develop. What Recruiters are looking for? Let’s face it. There are numerous qualified professionals out there, all competing for a limited number of positions. Moreover, even if the candidate’s resume is great there is no guarantee the recruiter will give it the attention it deserves. Recruiters look for passion and enthusiasm in a candidate with skills, attitude and knowledge with a commitment to learning. Read on the top five things recruiters want to see in candidates. Employers rank communications skills, on average, twice as important as managerial skills. Communication skills set candidates or job seekers apart from the crowd. The ability to express properly in both spoken and written communications in a variety of professional situations is a huge plus. How well one can communicate and present will set him apart, both in the interview process, and later in one’s career. Employers want employees who play well with others, who can effectively work as part of a team. Recruiters look for the people who get along with others and have a positive and encouraging attitude. Good time management is about prioritizing the most important tasks, and then deciding which actions will produce the maximum output with the minimum effort. Gathering all the important facts, seeking advice, looking at the big picture, considering alternatives, being aware of repercussions - these are all things that go into making a good decision. Emotional Intelligence is a highly sought skill that relates to your social skills, social awareness and self-management abilities. Recruiters can easily evaluate the emotional intelligence of a candidate through actual interaction. Since each is an essential element for organizational and personal success, developing these skills is very important and does matter… a lot! Make sure that soft skills are a priority in your organization, and let your people know it. Because, then only your people will know how to communicate and socialize. For organizations, there are many behavioral testing questions that can help the recruiter of the organization to draw a more holistic candidate picture and assess, in addition to all the right hard skills, whether a candidate also has the soft skills necessary for the job. 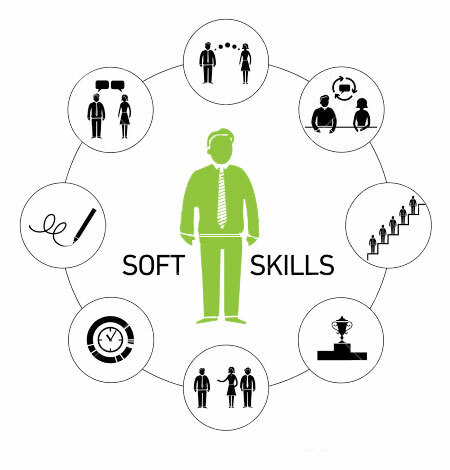 Soft skills are increasingly becoming the hard skills of today's workforce. It's just not enough to be highly trained in technical skills, without developing the softer, interpersonal and relationship-building skills that help people to communicate and collaborate effectively.